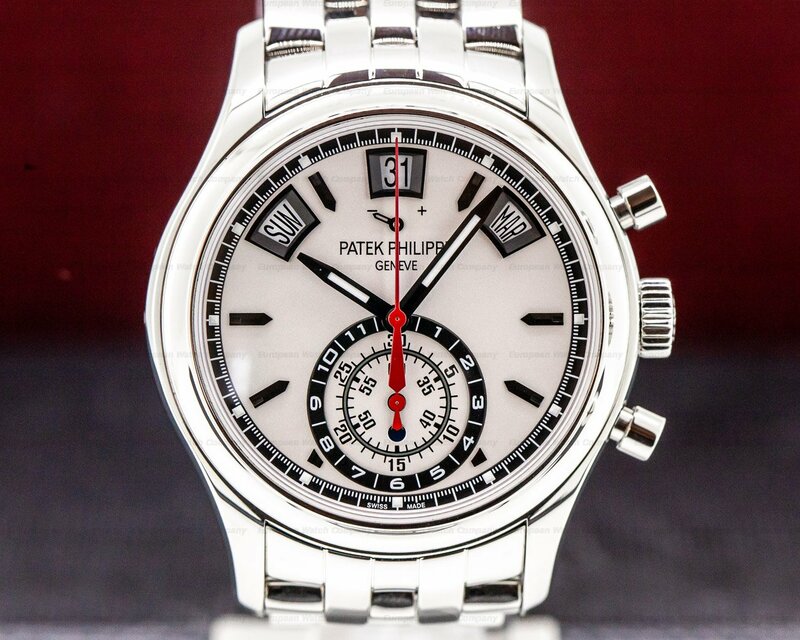 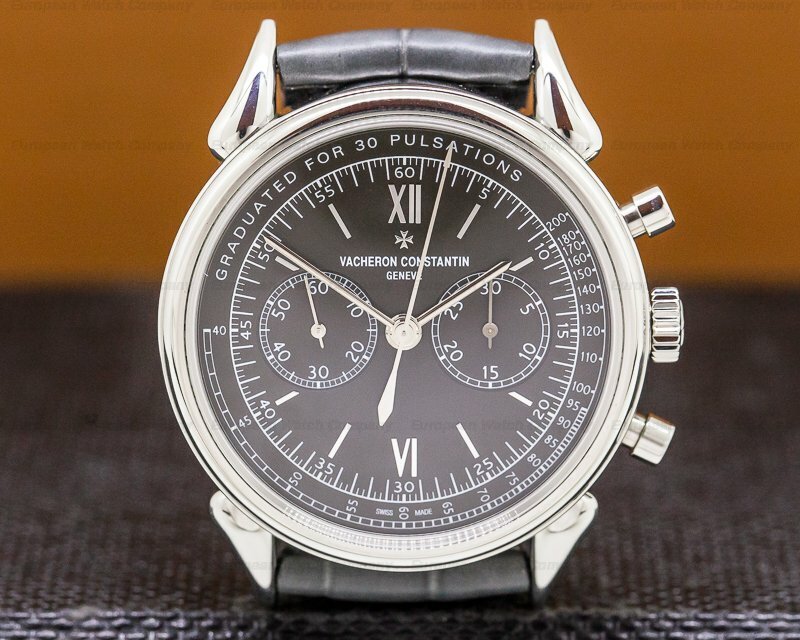 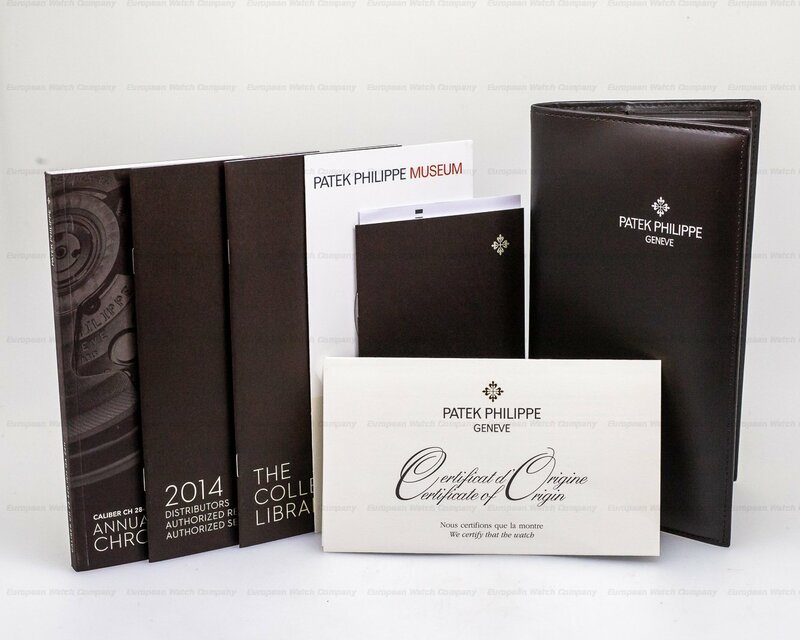 This is a stainless steel Patek Philippe Annual Calendar Chronograph, 5960/1A-001. 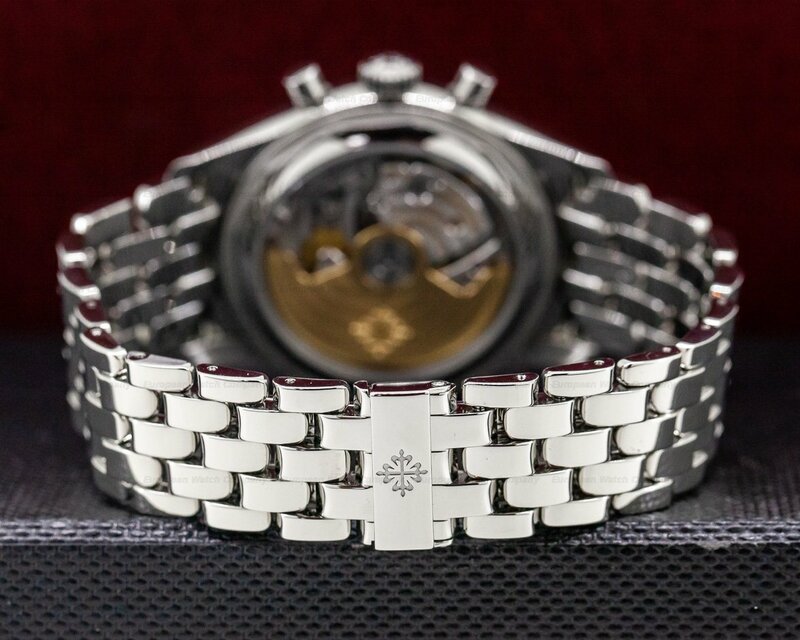 It has an stainless steel multi-link bracelet with a double deployant buckle, and a scratch resistant sapphire crystal. 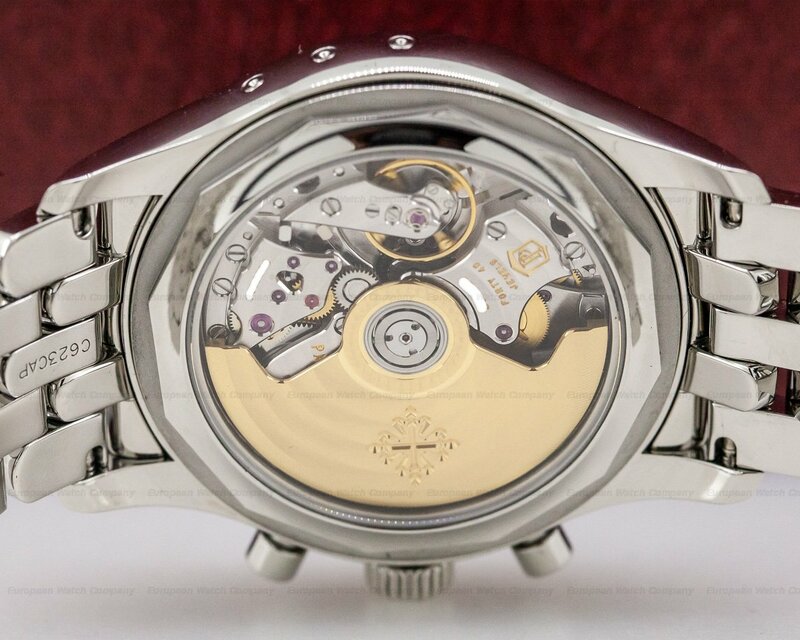 There are correctors in the band and a screw-down transparent sapphire crystal case back. 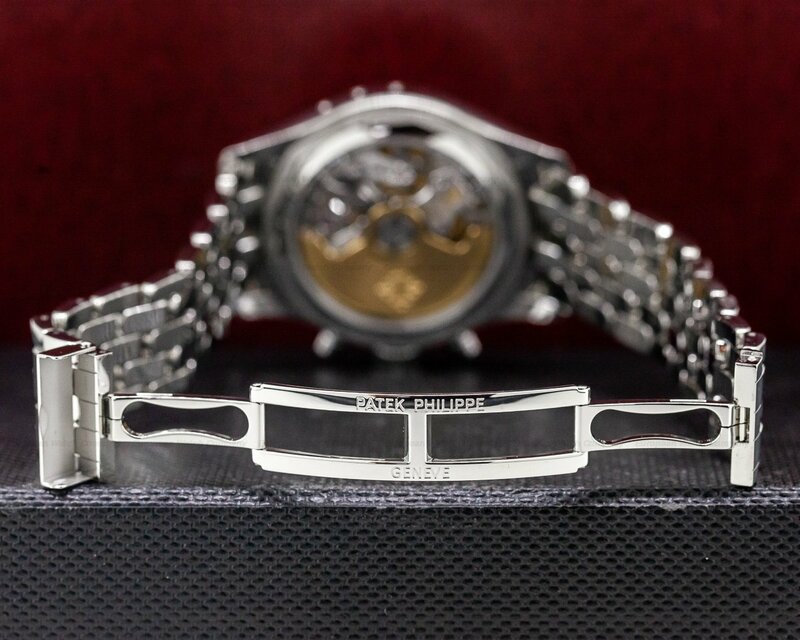 The 40.5mm diameter solid two-body case, downturned lugs, and concave bezel are polished. 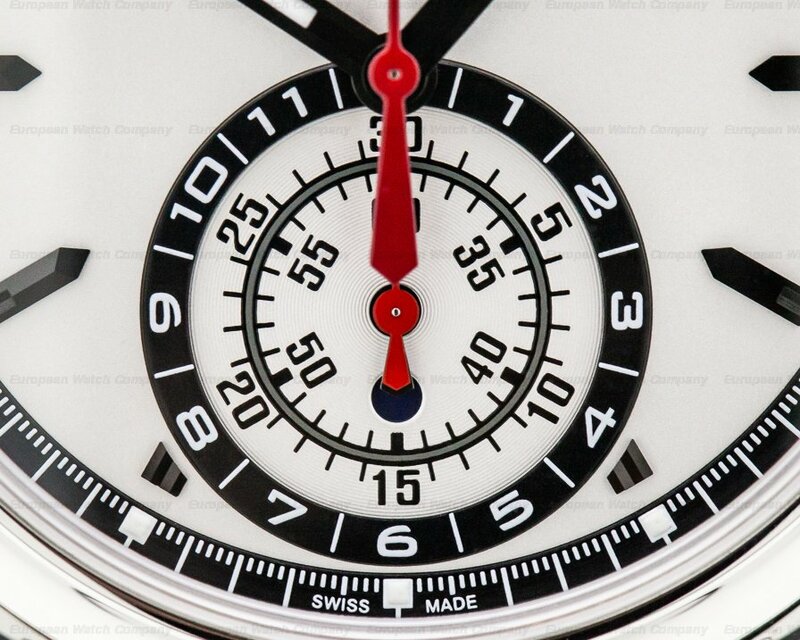 The light silver dial has applied black steel faceted baton hour markers, luminous dots, and steel luminous feuille hands, as well as a center sweep red chronograph seconds hand. 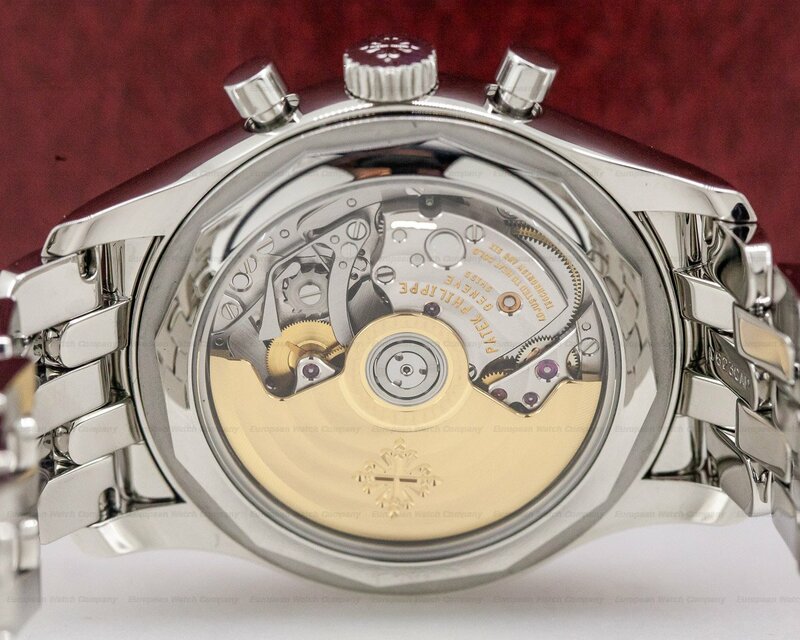 It has outer minute and 1/5th seconds divisions, and a guilloche silver subsidiary dial for the combined 30/60-minute and 12-hour totalizer. 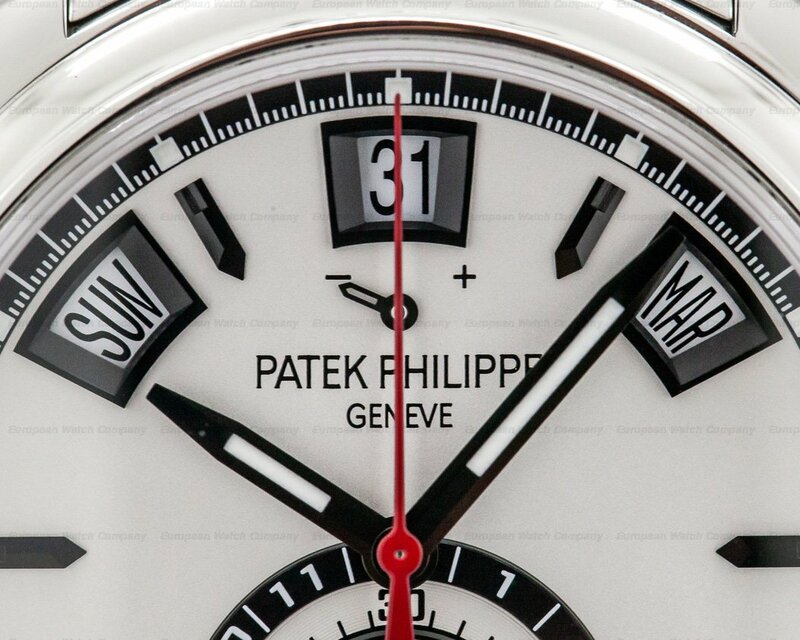 There is a power-reserve indicator at 12 o'clock, apertures for the days of the week, the date, the months, as well as a day/night indicator. 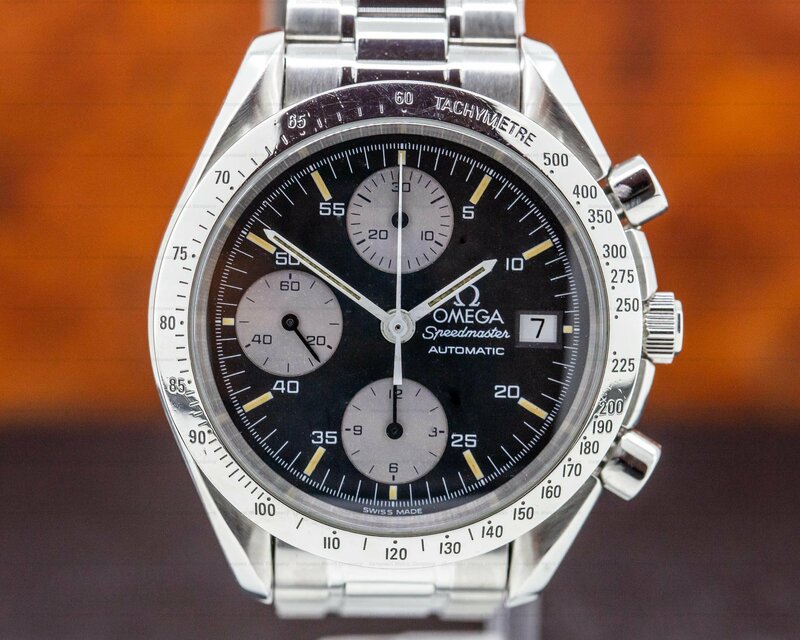 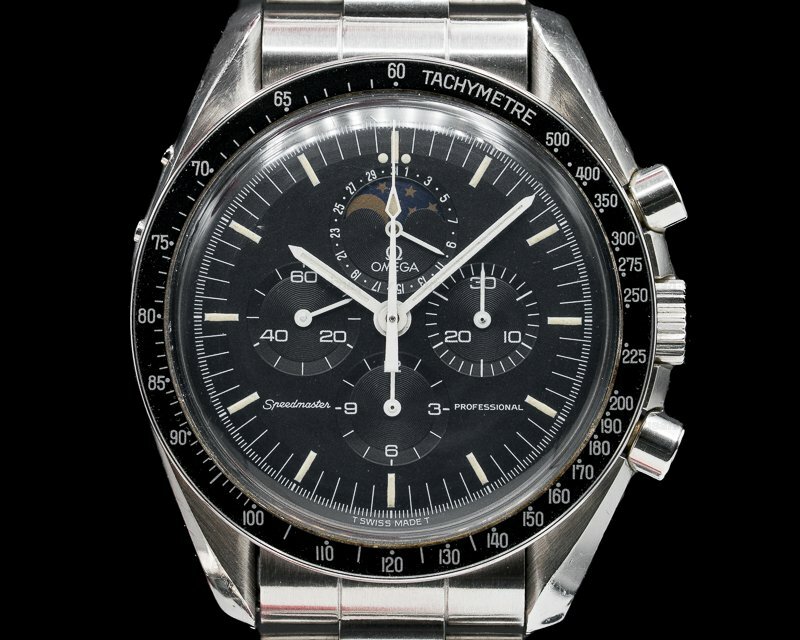 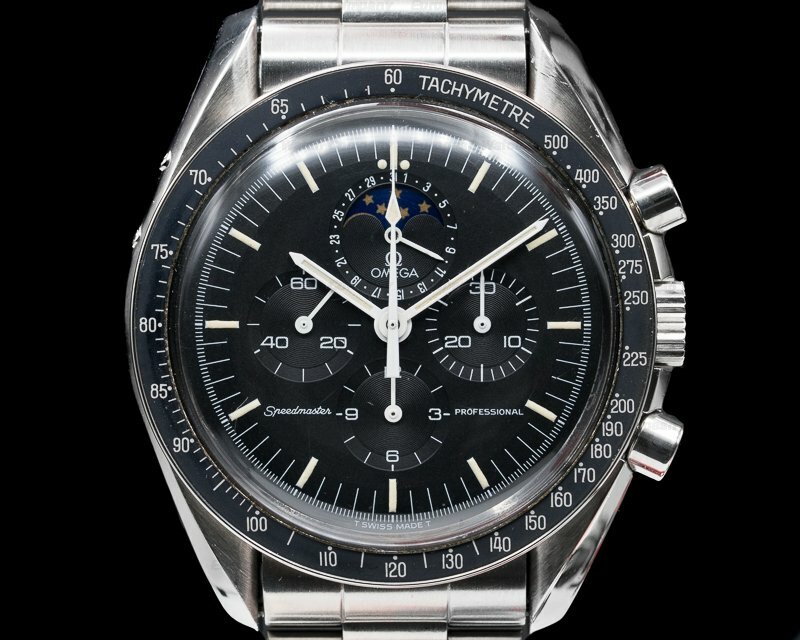 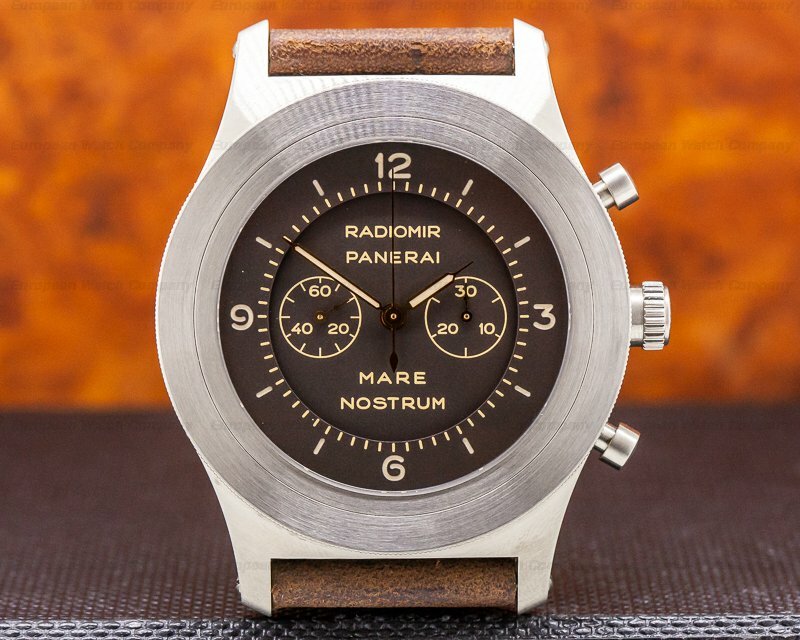 It has a round button fly back chronograph and it's water resistant to 30 meters/100 feet. 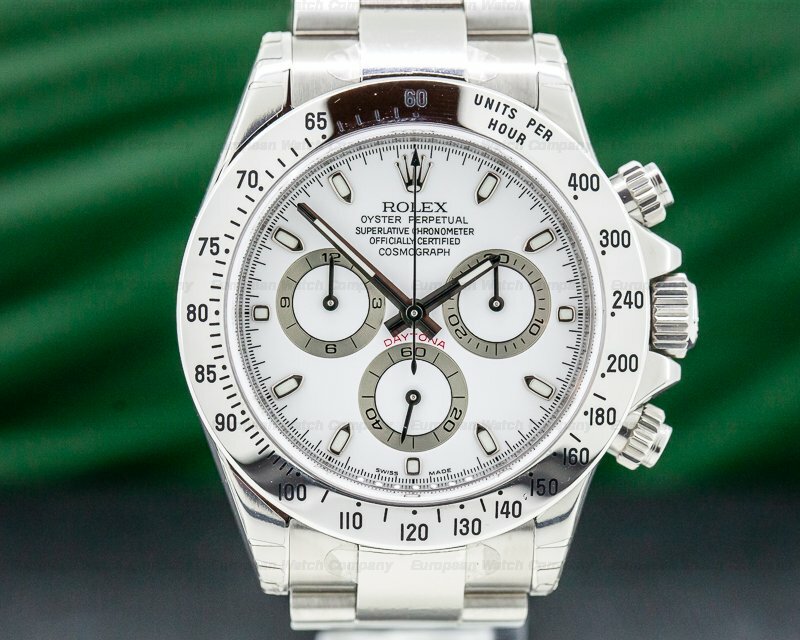 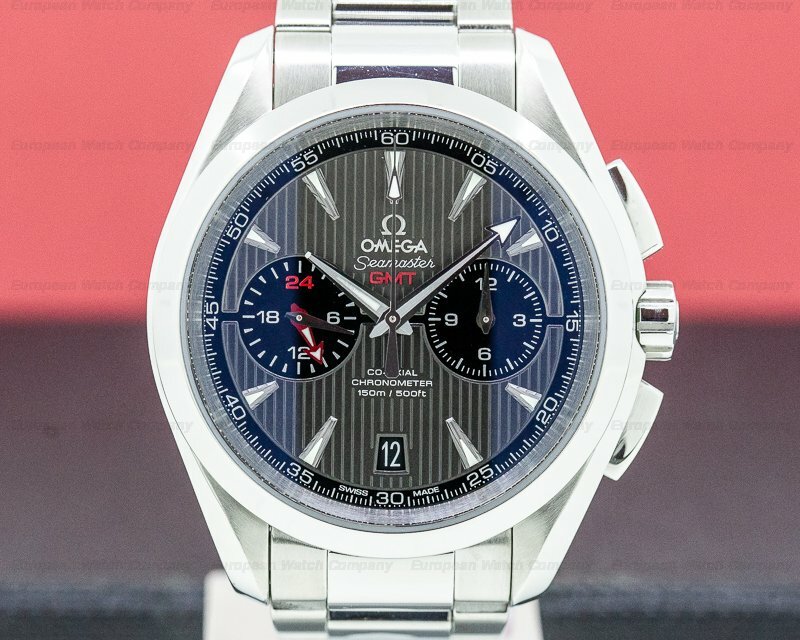 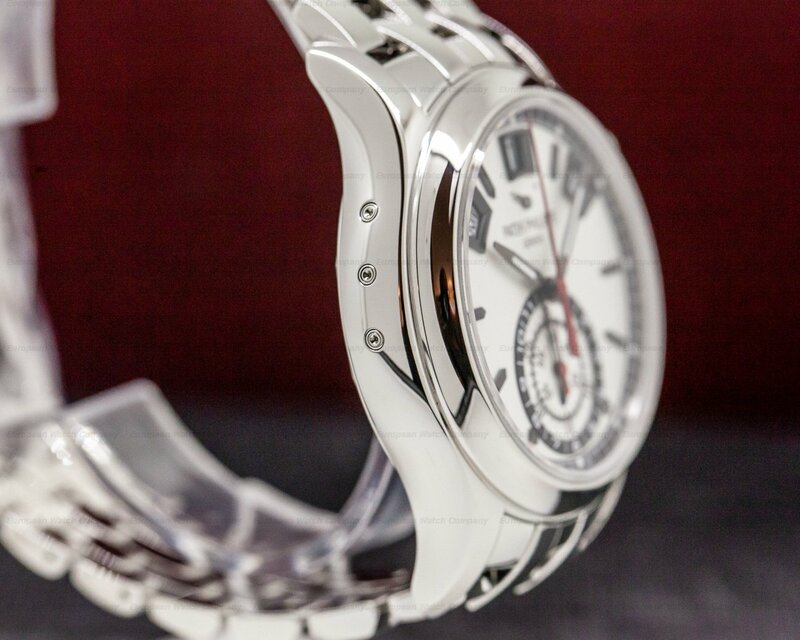 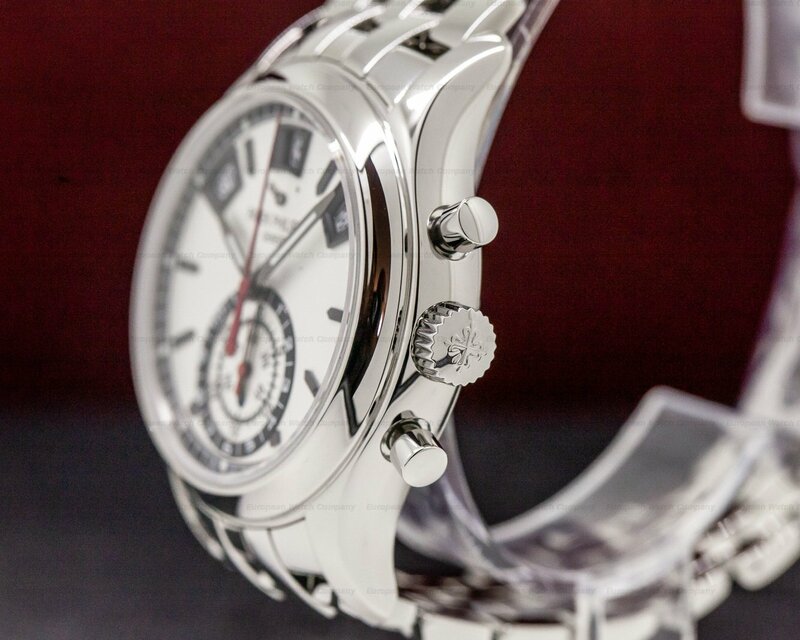 It has a 55-hour power supply, and the 13.5mm thick case, dial, and movement are all signed. 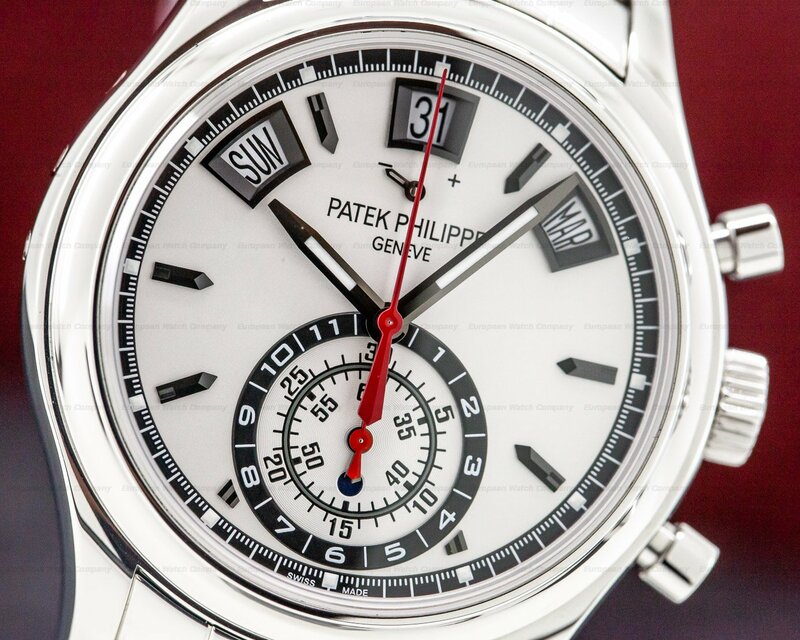 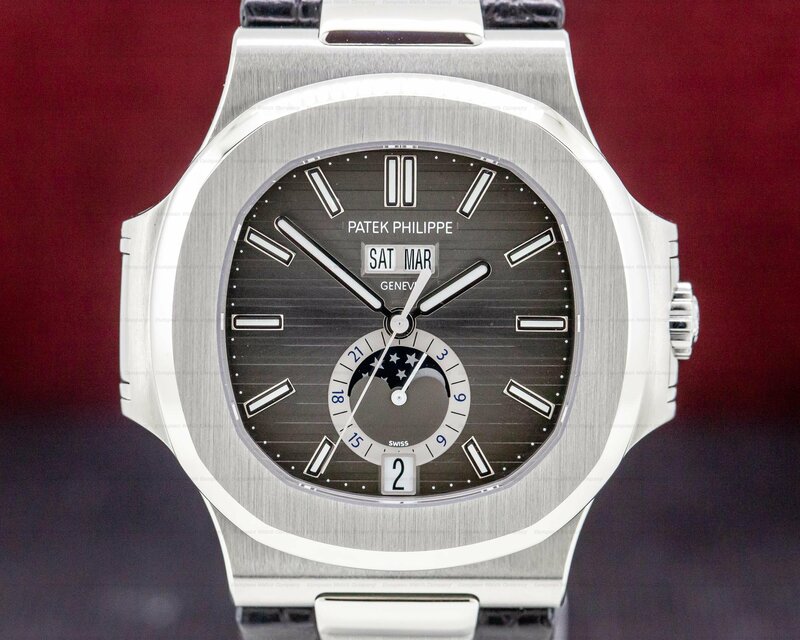 In 1996 Patek received a patent for their Annual Calendar mechanism, while their annual calendar watch (only having to be manually adjusted once every 365 days) was selected watch of the year in the Basel show. 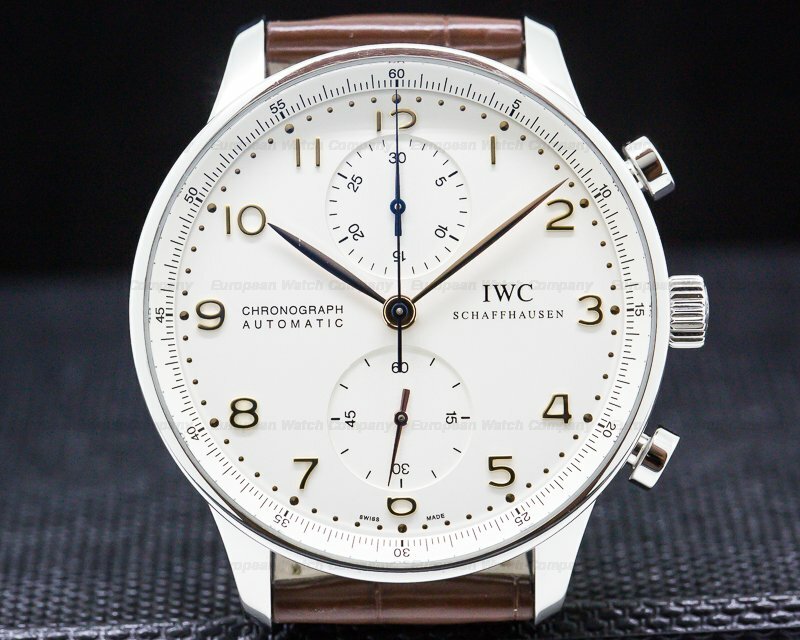 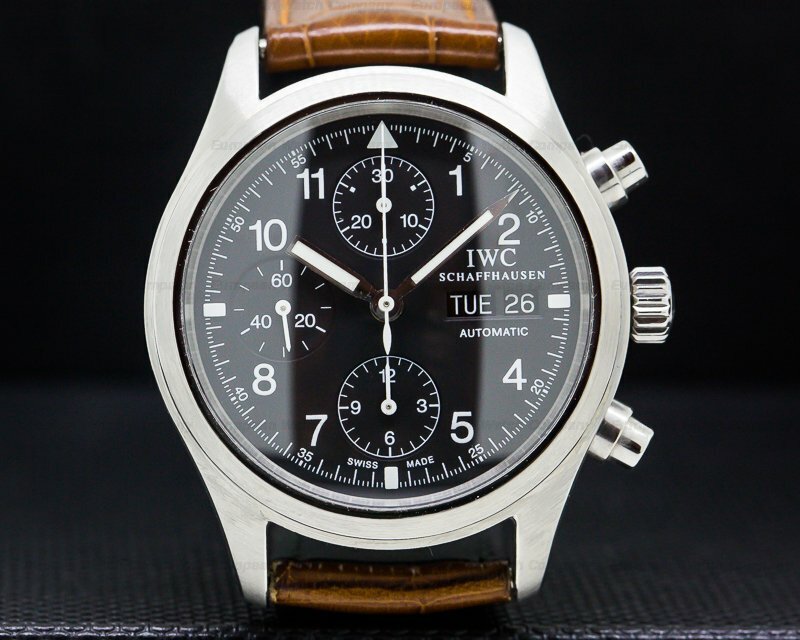 They've been making the finest chronographs since the 1920's; this complicated model was introduced in 2006 and remains in current production.